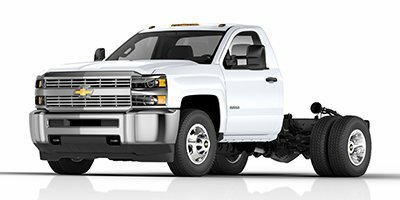 2019 Chevrolet Silverado 3500HD for sale serving Los Angeles, Long Beach, Downey, Torrance & Orange County. 1GB3CVCY9KF211978 - George Chevrolet. WT trim, SUMMIT WHITE exterior and DARK ASH / JET BLACK ACCENTS interior. Turbo Charged, MIRRORS, OUTSIDE HEATED POWER-ADJUSTA... SEE MORE! KEY FEATURES INCLUDE Chevrolet WT with SUMMIT WHITE exterior and DARK ASH / JET BLACK ACCENTS interior features a 8 Cylinder Engine with 445 HP at 2800 RPM*. OPTION PACKAGES ENGINE, DURAMAX 6.6L TURBO-DIESEL V8 B20-Diesel compatible (445 hp [332 kW] @ 2800 rpm, 910 lb-ft of torque [1220 Nm] @ 1600 rpm) Includes capped fuel fill, (K40) exhaust brake and (K05) engine block heater. ), WT CONVENIENCE PACKAGE includes (DPN) outside heated power-adjustable vertical camper mirrors, (DD8) inside rearview auto-dimming mirror and (AQQ) Remote Keyless Entry; Regular Cab also includes (A31) power windows. MIRRORS, OUTSIDE HEATED POWER-ADJUSTABLE VERTICAL TRAILERING, UPPER GLASS, MANUAL-FOLDING AND EXTENDING, BLACK. Includes integrated turn signal indicators consisting of 51 square inch flat mirror surface positioned over a 24.5 square inch convex mirror surface with a common head and lower convex spotter glass (convex glass is not heated and not power adjustable) and addition of Auxiliary cargo lamp for backing up (helps to see trailer when backing up with a trailer) and amber auxiliary clearance lamp includes (DD8) auto-dimming inside rearview mirror. ), TRANSMISSION, ALLISON 1000 6-SPEED AUTOMATIC electronically controlled with overdrive, electronic engine grade braking and tow/haul mode, AUDIO SYSTEM, CHEVROLET INFOTAINMENT SYSTEM WITH 7" DIAGONAL COLOR TOUCH-SCREEN, AM/FM STEREO with seek-and-scan and digital clock, includes Bluetooth streaming audio for music and select phones. Electronic Stability Control, 4-Wheel ABS, Vinyl Seats, Locking Rear Differential. Horsepower calculations based on trim engine configuration. Please confirm the accuracy of the included equipment by calling us prior to purchase.